Centsible Savings: Centsible Savings in the News! 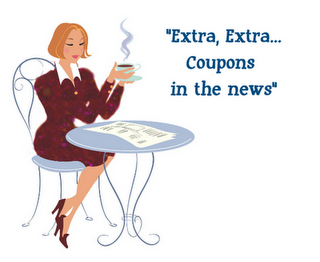 But it is not just "Coupons in the News,"
it is CentsibleSavings in the news! I was honored to have a reporter from the Tampa Bay Tribune contact me to include this website in a newpaper article all about coupon bloggers. He did a great job writing the article and has some great tips included in it. Thanks to all my readers for helping making CentsibleSavings a great resource for others trying to learn how to save money and find the best deals! Yay!!! Way to go Christina! Congratulations!